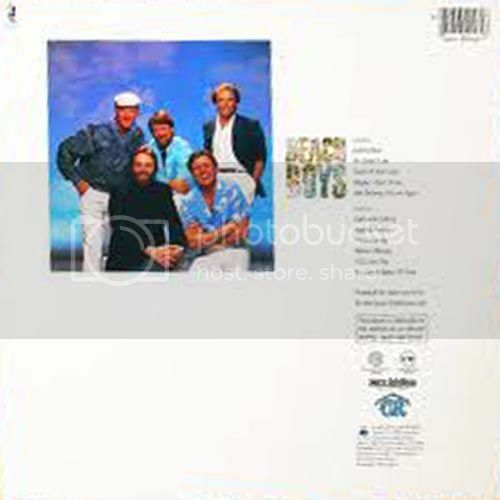 What Is The Best Beach Boys Album of All Time? 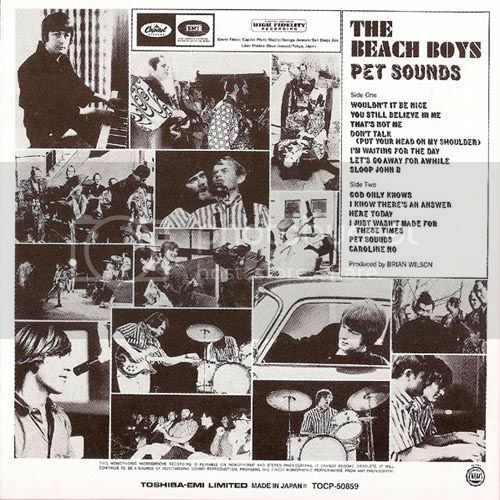 I may not have been alive when Pet Sounds first came out, but being a music lover and absorbing plenty of different albums from countless bands and singers in and around 1966, I can easily see and hear what a monster album this was and to some extent still is. 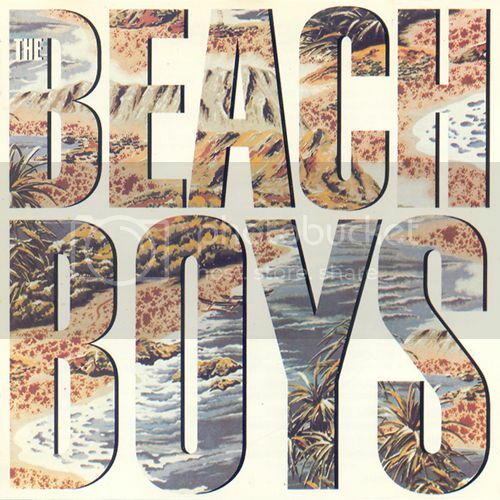 The Beach Boys or more specifically Brian Wilson definitely pushed the boundaries both in sound as well as songwriting. It's just an amazing achievement for one man to conceive let alone translate all this out of his head onto tape. 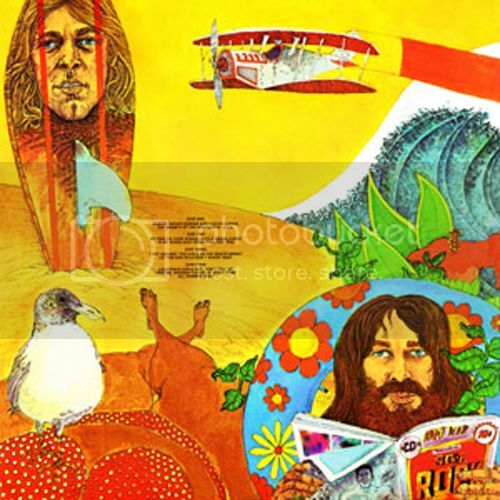 We all know the background story of how Brian Wilson was majorly influenced by The Beatles album Rubber Soul and how Pet Sounds then became a huge influence on the writing and production of Sgt. Peppers' Lonely Hearts Club Band as The Beatles set about recording their masterpiece. 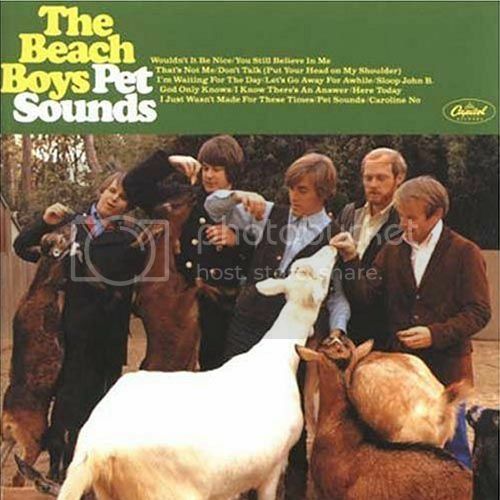 Even though Pet Sounds is definitely different from previous Beach Boys albums in a lot of ways, it is still very much a Beach Boys albums. I just absolutely love listening to albums that influence other artist and hearing those subtle differences while also staying true to their original sound. It's no wonder that Rolling Stone Magazine has Pet Sounds as #2 on their Top 500 Albums Of All Time List. FYI, Peppers is currently at #3 on the same list. It was at one time #1 but I think a lot of people that voted on that order eventually wised up to the fact that Pet Sounds belongs ahead of it. Fave Songs: All of 'em. It's really hard to pick a song over another when the entire album works as one giant masterpiece. Damit, now I should give this a listen. I normally don't review Greatest Hits sets until after I've done so for studio albums first. But in this case I think it's definitely warranted for a personal reason. Back when I was a kid just getting into The Beach Boys by way of 45's, the first song that I immediately fell in love with was I Get Around. It was awesome. There was no KISS for me yet. It was these guys and a little of Elvis Presley. Anyway, my Mom had Endless Summer on cassette tape and I ended up "borrowing" it from her and would listen to it day and night. At the time, I didn't know anything about Greatest Hits or Collections. 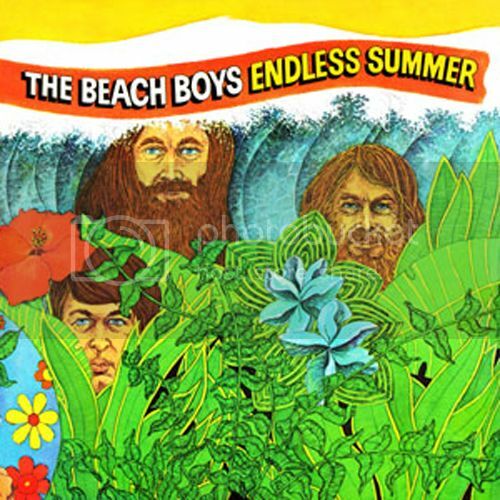 So when I got into Endless Summer I really thought it was a Studio album and to this day I kinda still do even though its not. I listened to this tape for years. Hell, when I started playing organized baseball, I would go out of my way to listen to this tape at least an hour before each game to get into the zone. It had a calming effect and my playing showed on the field. I was awesome! 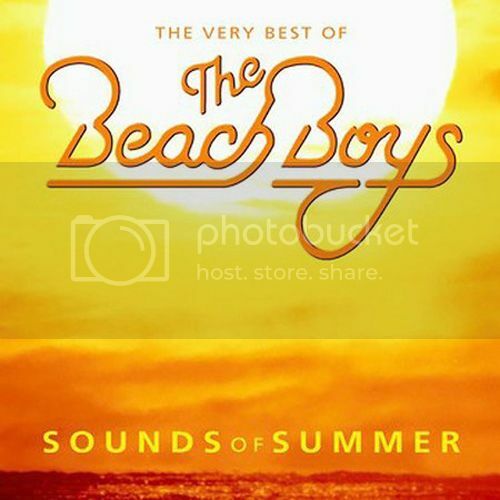 And so were The Beach Boys. Okay. Now for the review itself. At the time, this definitely was the best Set out there for all their biggest hits. Even though it's a great collection of songs, I can't recommend it because there are better sets out there now that offer more bang for your buck. So, stick with one of the newer releases. FYI, I Get Around was the first song I learned the lyrics to. How's that for some useless trivia for you peeps out there. 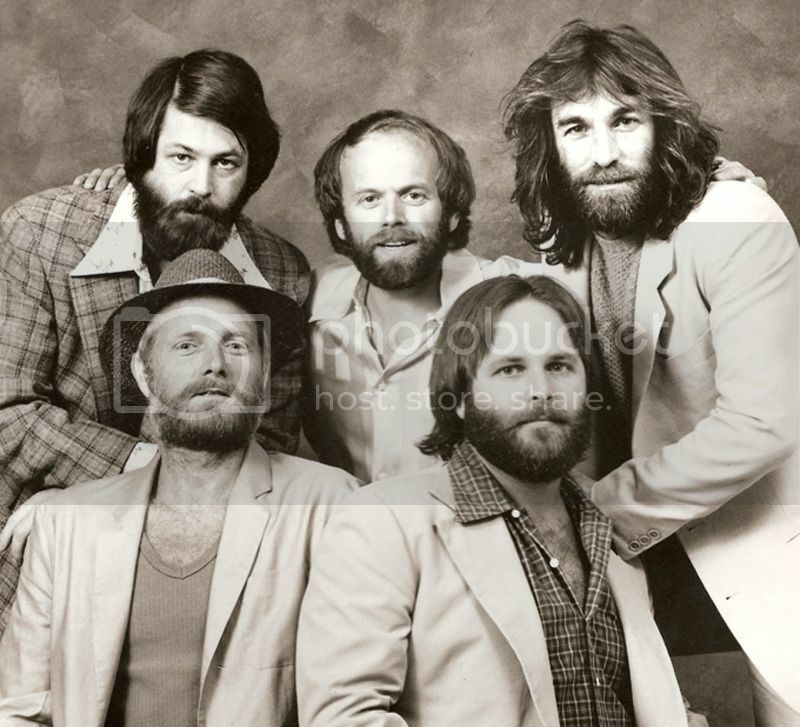 More useless trivia for ya, The Beach Boys were the first band I saw Live. They were the headline act after a San Diego Padres game. I have this on vinyl somewhere but I can't find it. I think it's in the last crate of vinyls I have but it's most likely still out in the garage. So, I can't give this one a proper review. But what I can say is that I got this specifically for Getcha' Back. I really don't remember much of the album at all other than that song, which I think is awesome. 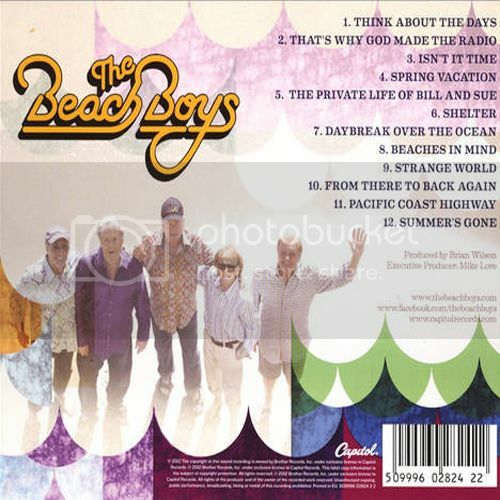 For me this is the Granddaddy of Greatest Hits packages for The Beach Boys. Now I don't know if they have since released a more comprehensive set with even more songs within the last few years. But for me I am 100% satisfied with this collection. It has them all and they all get played plenty of times in my car year round. Trust me, when it's winter and raining on those very rare occasions, I will play this Set to make it feel like summer and it works every time. Everything from California Girls to Surfin' Safari to In My Room to God Only Knows to Getcha Back to Good Vibrations to Kokomo can be found here. Yes, even Kokomo!! What makes this set even better are a handful of songs that have been given the Stereo treatment. Remember all their earlier stuff was Mono. 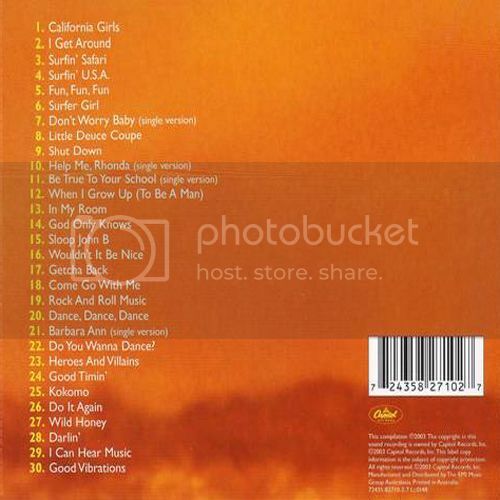 So, this is definitely one to get and with 30 songs here, it's nothing to sneeze at. I highly recommend this for anyone's personal collection. That is a good set! Yo Mac, you should port (copy/paste) your review of That's Why God Made The Radio on over here. I will probably get to my review of it tonight myself. This is not only one of my first Beach Boys record I bought, but in the set of first of my beginnings of record collecting. This is not only on of my first Beach Boys record I bought, but in the set of first of my beginnings of record collecting. In a way, it did the same for me. KISS and Fleetwood Mac would soon follow. 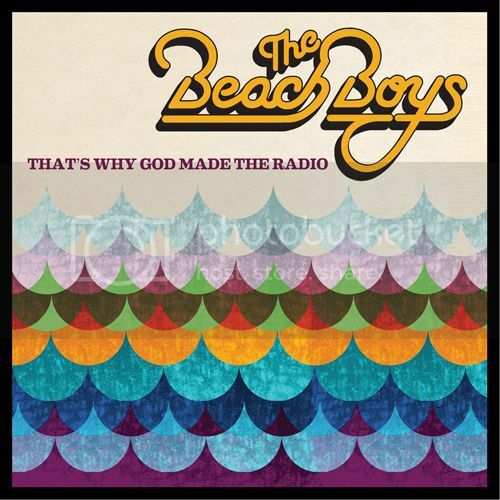 This is definitely vintage Beach Boys from start to finish and it's awesome to have the guys back together in one band doing what they do best. But for me, having only listened to That's Why God Made The Radio just the one time today, it's a little too "new" for me at the moment. By that I mean I am unfairly comparing it to songs like California Girls, In My Room, Wendy and Good Vibrations. It's really kind of hard not to do that, especially coming straight off listening to their Greatest Hits set. I definitely need to and will listen to this a few more times over the next day or so to soak up this album and get a better feel of where it ranks in their catalog. As of right now I would give this a solid 4 Stars out of 5. At first, I was put off, by all things, the cover. I have by-passed albums in the past because of covers (Boston, fer example). Stupid, I know. Anyway, the cover is a deliberate attempt to capture the 60's. It actually looks rather distinctive now in today's album art.